Just a quick teaser while I recover enough to blog about this amazing event. The first session was scheduled to start at 730a Friday morning. 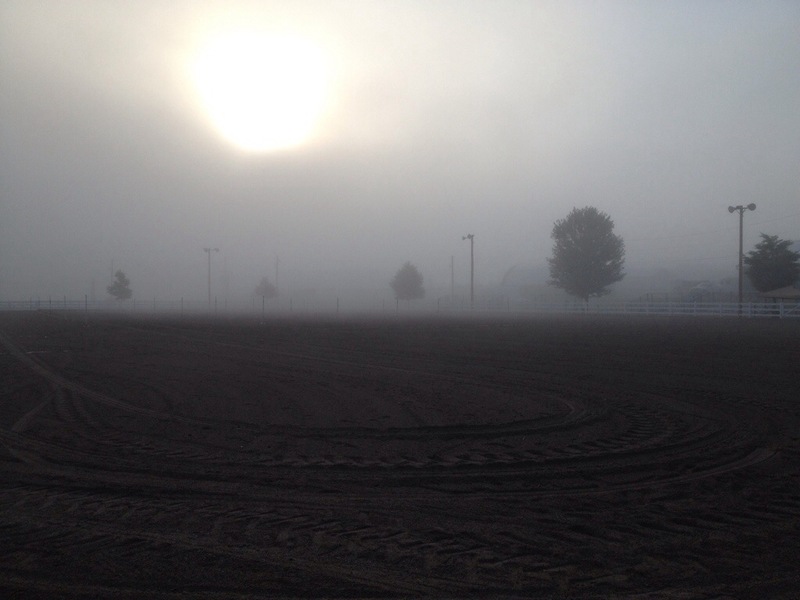 I was standing at the gate to the arena at 7am returning texts and answering emails and the fog dropped down onto the field. Luckily it burned back off just in time for our start. If you look closely you can see some bending poles out there.